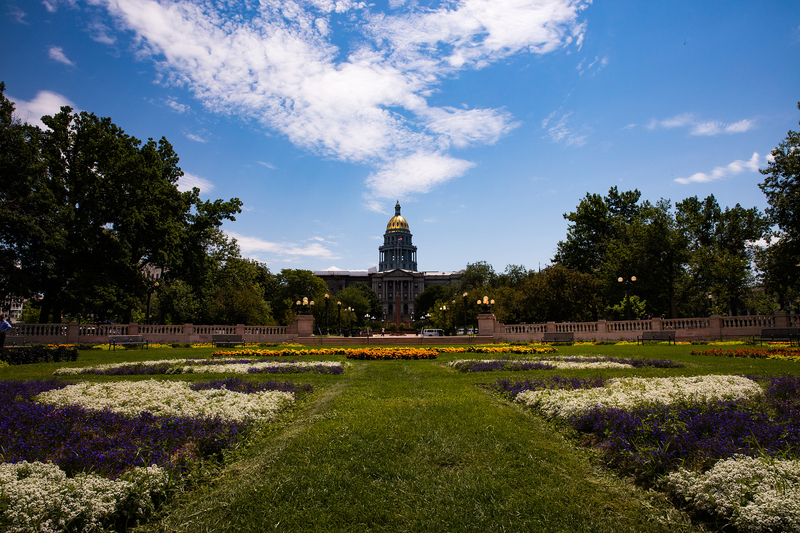 A break from event photography and a walk on a very hot day around Denver. A visit to Colorado's State Capitol Building proved very informative thanks to our guide Diana. Inside, the grandeur of Elijah Myers design could be appreciated, but despite high vaulted ceilings it remained very hot, something I am not used to on Skye. Shot slightly wider than I may have chosen due to extensive maintenance being conducted on the North side of the building. 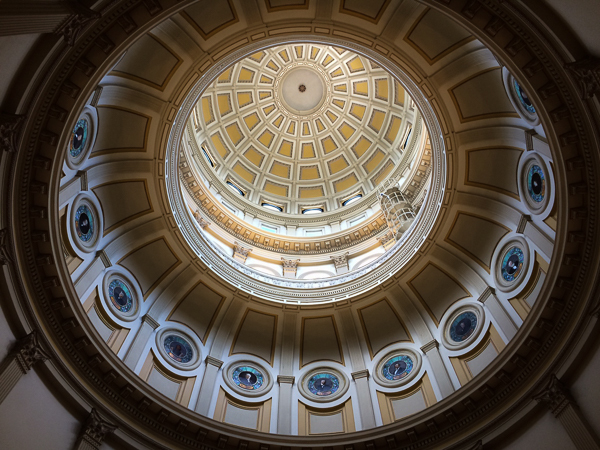 Heavy scaffolding and bright white tarpaulins became too intrusive when the Capitol State Building was shot from closer. Still the flowers in the park were looking lovely and surprisingly not wilting too much in the heat. 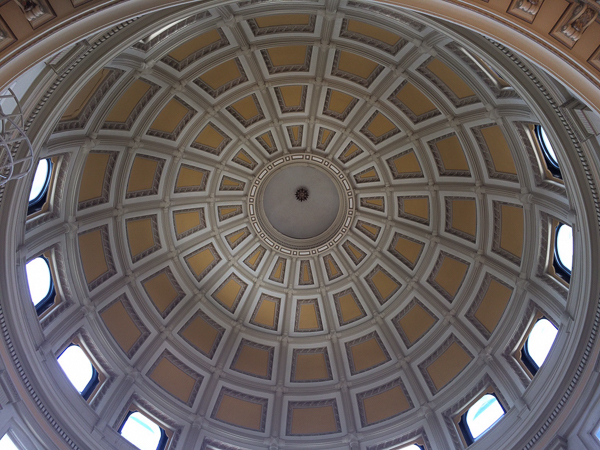 The Dome is gilded having used 200 ounces of gold to provide a dominant reminder of Denver's gold rush roots. The gold, glinting in the late morning sun, contrasts starkly with the granite stone of the rest of the building. 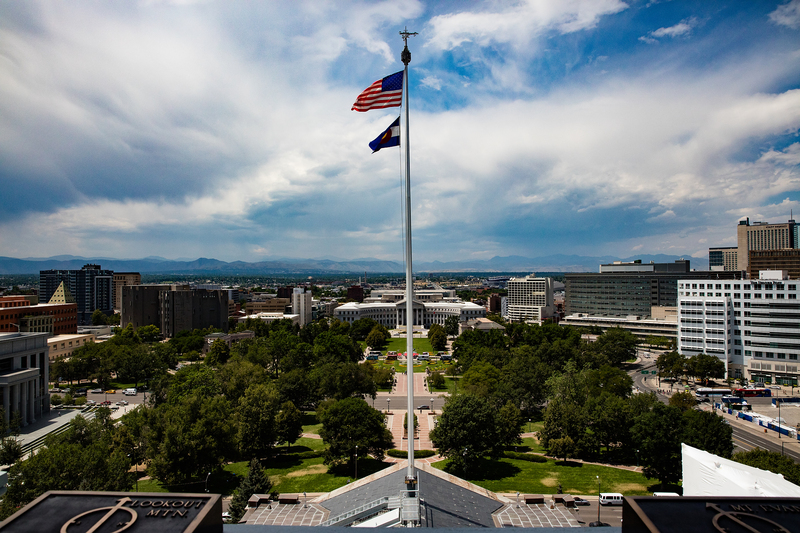 After a tour of the various legislative chambers, and the original Colorado Supreme Court, we climbed to the magnificent golden Dome to look across the Denver skyline. Despite the cloud having built up and the haze, the Colorado Rockies still provided a dramatic back drop when looking West. Inside the building was lit by low sodium lighting providing a soft yellow light that matched the heavy white oak doors and allowed the rare Colorado Rose Onyx marble, which is used on the lower walls, to take pride of place. The rare rose marble was complimented by the White Yule Marble that tiled the floors. I only had my Canon 5DSLR and Canon EF24-70 f2.8 L with me, no tripod and the inside of the building was busy with both workers and tourists. However I wished a memento from inside and preferably a view from the first floor up inside of the Dome. This view can only be obtained via a sweeping central stairway and time for the photograph was going to be limited. I was frustrated that my lens could not get all of the second floor lights in the picture so I slightly tilted the camera to frame four of the six and also to give a little detail of the fourth floor stained glass windows detail but not too much so as not to distort the perspective. 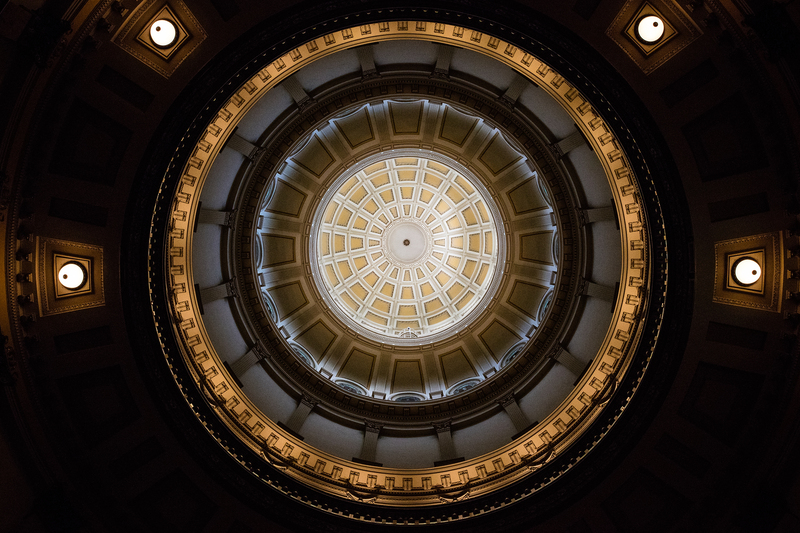 I exposed for the light on the fourth floor windows which threw the second floor in to silhouette and still allowed detail of the dome's interior detail to be viewed. I then processed the different tones individually in post production to bring a degree of separation to the different floor whilst still retaining the original composition. This composition remains my favourite but for interest I decided to drop the exposure back to see what the look would be. I am not sure that I like the more abstract look as much but who knows it may grow on me?! The following images give some of the detail of the dome. 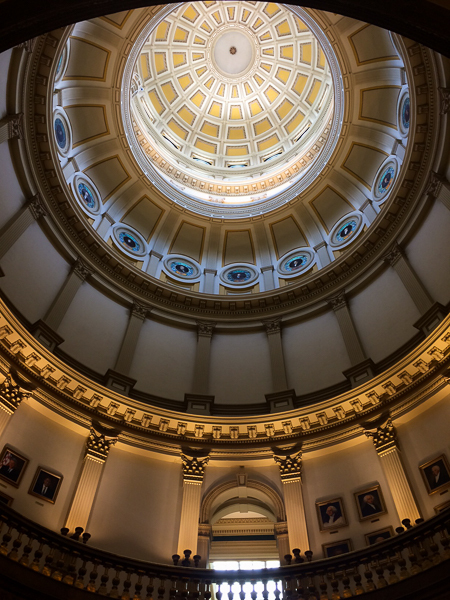 They were taken by @TJFrogSkye on her iPhone and not only highlights the portraits of USA Presidents and the stained glass windows but also the quality of the cameras now available in smart phones.